Back in the 1950s, jazz titans vibraphonist Red Norvo, electric guitarist Tal Farlow, and bassist Charlie Mingus (and later, Red Mitchell) created a groundbreaking trio with a unique, fresh sound. These three virtuosos proved the viability of the format combining clever arrangements with fire-breathing solos, often at breakneck tempo. Their recordings remain an exquisite, timeless document of chamber jazz perfection. The Minnesota-based Neighborhood Trio revives this classic format with stunning results that combine jazz with country, pop and soul influences. 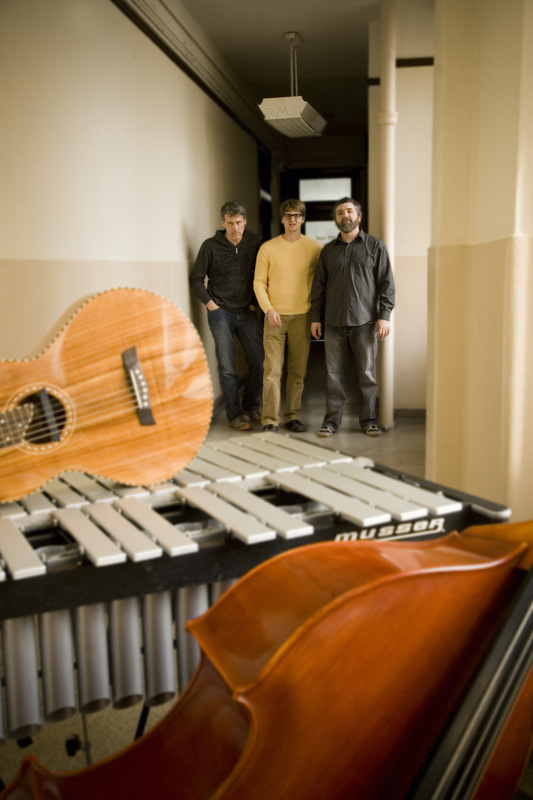 The Trio features Steve Roehm on vibraphone, Andrew Foreman on upright bass, and Dan Schwartz on Weissenborn acoustic steel and vocals. While the Norvo Trio emphasized the virtuosity of the soloists for TNT, it’s all about laidback grooves and texture. The group projects an organic, interconnected rootsy sound that relies on each musician to supply an essential thread of the musical tapestry. Their gigs mix fresh-sounding, ethereal originals with eclectic covers of everyone from Bill Withers, Tom Waits, Hank Williams, Willie Nelson, Al Green and Marvin Gaye to a killer version of the ‘60s AM radio classic, Ooh Child, by the Five Stairsteps (recently revived for the climax of the hit movie Guardians of the Galaxy). In some ways, their groove-oriented playing reminds me of a airy, funk-light version of electric “groovemiesters” Medeski, Martin and Wood. The trio’s self-titled 2011 CD release is a showcase for their musicianship, taste and preference for focusing first, on delivering the song while still demonstrating obvious chops and soloing ability. On their laidback, groovy cut Shag, Schwartz alternates between playing back-up with unison lines with the vibes. Puddles very effectively showcases melodic lines from the steel against a pedal point pattern from the vibes. Roehm’s fluent, cliché-free vibraphone playing is a standout. First Impression swings gently with Roehm laying out a jazzy melodic line followed by a conversational, voice-like single note response from Schwartz’s steel. Conundrum showcases Roehm’s taste and technique with fluent, floating lines that always stay grounded as part of the ensemble. Bassist Foreman is the glue of the group, always contributing mightily to the feel and supporting the other instruments. As a showcase for the Weissenborn, the group shows how powerful, and capable a musical instrument it can be in this unexpected context. 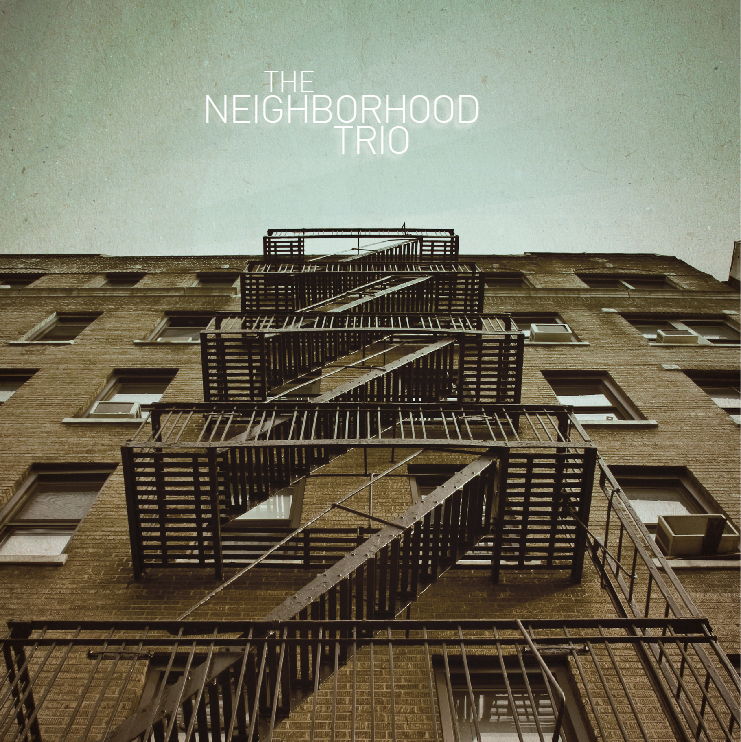 All-in-all, The Neighborhood Trio is a recording that, while harkening back to a classic jazz group, brings a fresh, modern perspective that combines great taste, creativity and restraint to prove the adage that the musical whole is indeed more than the sum of its parts. Andy Volk is an award-winning Boston-based television producer/director, writer, designer and musician. 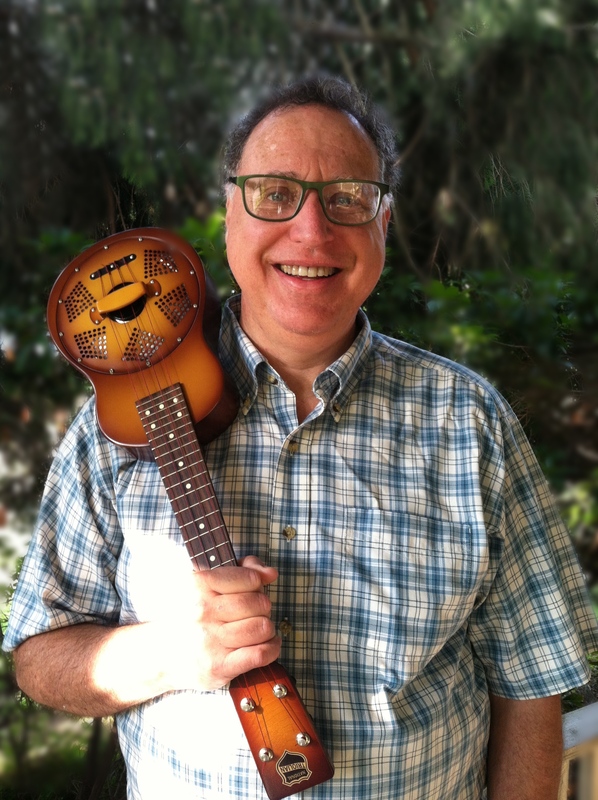 He’s the author of the books Guitar Dreams, Lap Steel Guitar (Centerstream/Hal Leonard), and Slide Rules and co-author (with John McGann) of Joaquin Murphey: Classic Western Swing Steel Guitar Solos. Volk is a also contributing writer to The Fretboard Journal and Acoustic Guitar as well as various online venues. 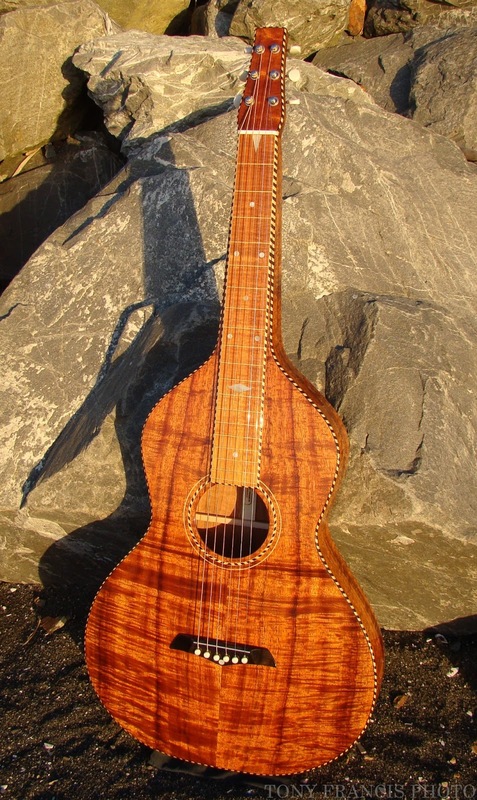 Wellington, New Zealand-based acoustic and electric steel guitarist Thomas Oliver’s playing is quite visible on the web, serving as an inspiration to many fans of Weissenborn-style acoustic steel. Oliver was initially best known as the front man for the roots, blues and rock-oriented Thomas Oliver Band, with which he’s toured quite a bit as both a headliner and a supporting act for marquee artists like Eric Clapton, Joe Cocker, George Thorogood, and Tom Jones. In recent years however, Oliver’s been focused on playing and arranging for Weissenborn. His spare, soulful Weissenborn instrumental song, titled The Moment, Has garnered almost 200,000 YouTube views. Oliver received his first Weissenborn a few years ago from Waikanae, New Zealand-based luthier Tony Francis and hasn’t looked back. Oliver’s CD, Beneath The Weissenborn, documents his collaboration with Francis, who builds stunning recreations of vintage 1920s guitars as well as his own updates of the timeless Weissenborn design. Rather than the groove-oriented music of his full-band projects, Beneath The Weissenborn focuses on a more introspective, folk-roots-new age aspect of his playing. The album was recorded using Tony’s Style 1, 2, 3 & 4 Weissenborns plus an original teardrop model. The ten tracks showcase the huge dynamic range of these instruments from rich, throbbing bass, to cello-like midrange, and gossamer high-end. Oliver exploits their dynamic, high fidelity sound by using long sustain and little vibrato, exploring the full range of sound these amazing hollowneck instruments can produce. Besides his excellent phrasing and attention to texture, Oliver also makes creative use of the haunting sounds available from playing behind his un-blocked tonebar at the 12th or 7th fret. While the late Bob Brozman used these as a sound effect, Oliver tends to include these zingy, splashes of harmonic overtones more organically as part of a given composition. Most of the tunes on the record are somewhat introspective and melancholy in emotional affect and (at least to my ear) sound like they’re played in mostly open D, D minor and/or G-based tunings. This leaves out many of the chords and sounds available from a 6th-based tuning yet still affords a rich and varied palette of musical color. Perhaps the standout cut is Oliver’s arrangement of John Williams’ Theme from Jurassic Park. I admire his fortitude in tackling a symphonic piece like this as well as his arranging chops in pulling off a lap guitar reduction so well. This cut shows just how up-to-the-task Weissenborns are for handling many more musical genres than they’re typically used for; it just takes effort and imagination. Segovia was often quoted as describing the Spanish guitar as “an orchestra in miniature” and this cut proves that’s definitely an attribute of the Weissenborn guitar as well. While there is some use of overdubbing and effects on the record, they’re used with taste and restraint. Belfast, the record’s bonus track mixes the steel with the ethereal sound of a wordless choir. All-in-all, Beneath the Weissenborn is a fitting tribute to this instrument that makes a lot of us crazy and serves as a showcase and sonic “proof of the pudding” that Francis’ meticulous builds sound as good as they look.